Disable sound and earthquake. This is useful when using a hidden rollingball to enable more special triggers in sequence, avoids having the rumble sound and screen shake. The rollingball will kill all creatures it touches while it is moving. Adding the value 4 enables Lara to push or pull a rollingball. In this situation no trigger is required for the rollingball. The ball can only be moved on flat sections (not sloped) of floor so by arranging slopes in suitable positions you can limit the direction the ball can be moved in. Remarks: this ocb requires the Lara's animation number 316 in your wad. Not all standard wads have this animation, but it can be found in the catacomb. wad. If animation 316 is missing in your wad nothing will happen when Action is pressed with Lara close to the rollingball. 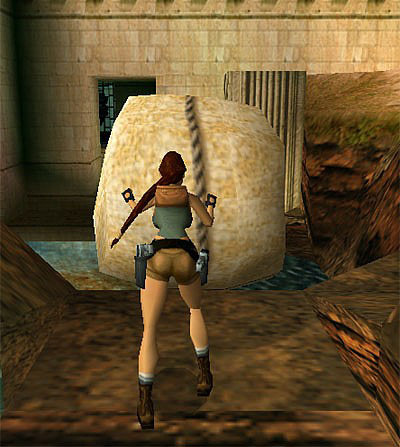 Once Lara has moved a rollingball and released it she will not be able to move it again. This ocb works like ocb 4, but in this case you'll be able not only to move the rollingball once but an infinite number of times. Using this method you can move a rolling ball along a flat Pushing/Pulling floor, until it reaches a slope where it will roll down. Remark: also this ocb requires the animation number 316, see above info for Ocb 4. Rollingball will destroy a shatter object in its path. - Simulation of underwater movements with different physical behaviour. Will allow the rollingball to activate common triggers, i.e. 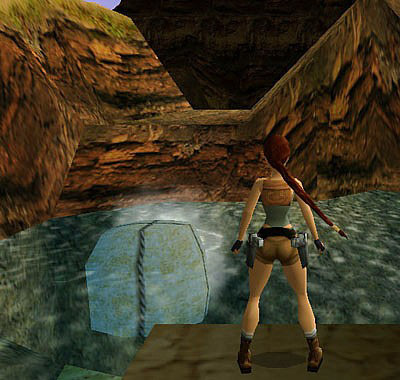 the "trigger" usually enabled only by Lara. In this way a rollingball will be able to activate traps for Lara thus saving her from harm.